The Class of 2008 chose to adopt Nightingale Elementary School for their class community service project. Adopting Nightingale gave the class many opportunities for involvement throughout the program year. The class kicked it off immediately after the retreat and jumped right in to the bike drive. 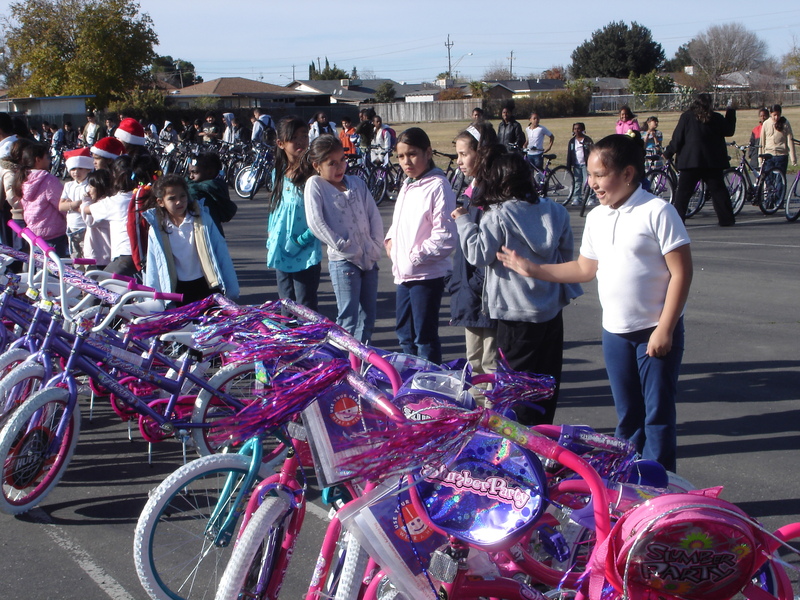 The goal was to award a new bicycle to every child with perfect attendance through the winter break – so the class worked to acquire over 120 bicycles. While moving forward with the bikes the class also stepped up with a coat drive and food drive just in time for the holidays. You would not believe the amount of turkeys the class came up with! They provided the students and families of Nightingale with a great holiday gift. And the bike drive of course was a huge success with a lot of happy kids. Other projects continued on for the remainder of the year. The two largest were the baseball backstop and field and the schools first 8th grade graduation. The 8th grade graduating students were celebrated with a delicious BBQ, complete with a DJ and prizes, all provided by this class. They completed construction of a new backstop, the project has been one of successes and setbacks, but through cooperation and partnerships, Nightingale has a new baseball backstop and field in the corner of their playground. Also accomplished by the class this year was the repainting of the playground lines including large world map, and the clean-up of the school’s garden. The Class of 2008 has a lot to be proud of with their accomplishments at Nightingale, their cash and in-kind donations neared $20,000, and class members committed hundreds of hours of their own time.